A seaworthy masthead sloop, The 34 was designed and built for ocean sailing. she is predictable and drama-free in her handling and exhibits a thoroughly easy, sea-kindly motion through the steepest of seas. 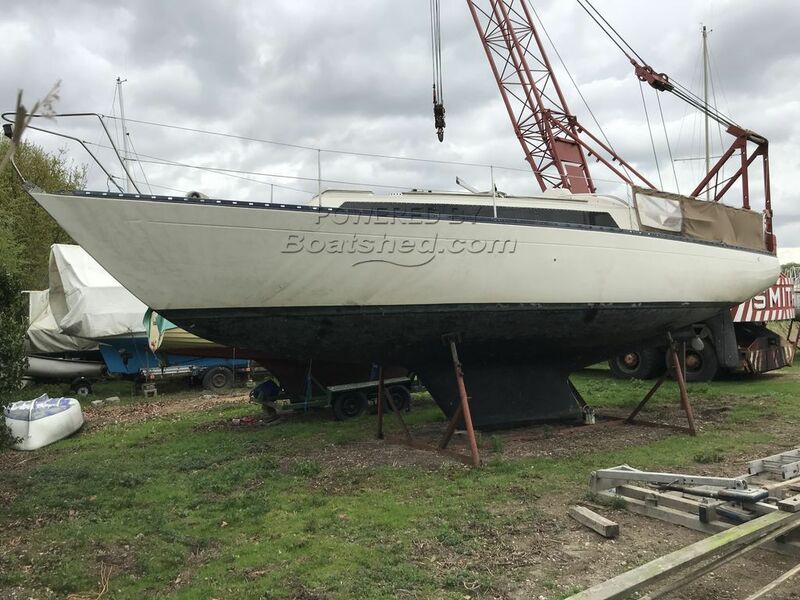 Not often does a Larkmans boat come onto the market, her interior is practicable and room, six berths, with a double in the saloon and a v double forward. Her compact galley has room enough and the neat companionway arrangement maximises floor space, all in all the legends are so called and rightly so. Her classic appearance is belied by her sloop stern. This vessel has been maintained . by a first class yard and the only reason for her selling is that her current owner is of an age and she needs to be enjoyed, and exceptionally a lovely east coast mooring might be transferrable, for a mere hundred a year, with good access to the sea.